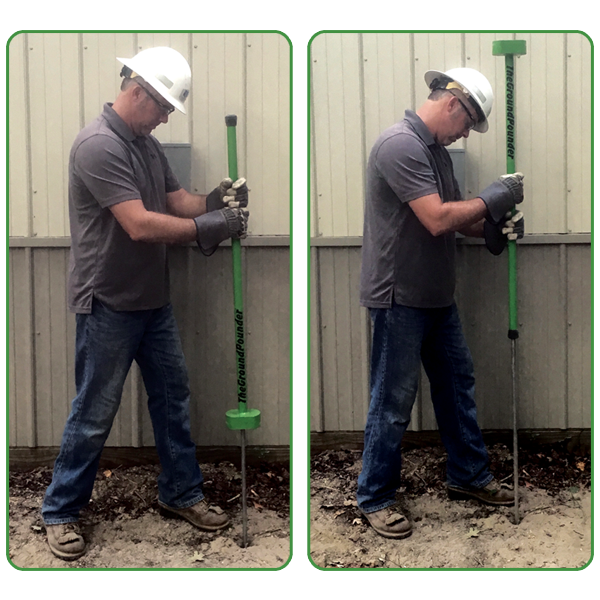 The Ground Pounder – Ground Rod Driver – Rack-A-Tiers Mfg. Tired of dragging out the hydraulic hoses to drive a ground rod? The Ground Pounder was designed by a lineman who knows about driving ground rods. 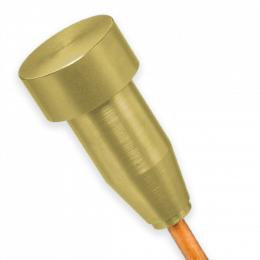 Quickly and safely drive standard 5/8″ and 1/2″ ground rods with both feet on the ground. 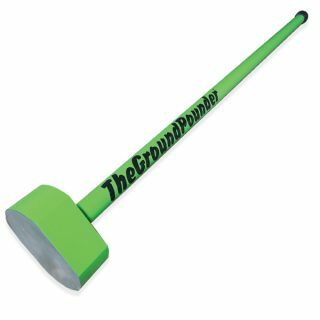 The Ground Pounder handle slides over the ground rod to safely contain the rod while the weighted end drives the rod down. The length of the handle allows for a full striking stroke while the weight does all the work. 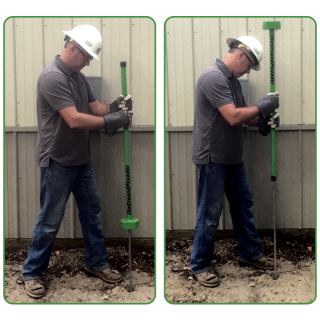 When the handle is flush with the ground, turn the Ground Pounder over and use the flat end to finish the drive.